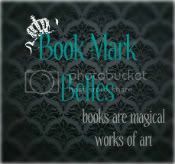 Book.Mark.Belles: 3 e-book copies of Stitch, currently only 6 entries! Reading Romances: 5 signed print copies of Stitch, currently only 32 entries! Very good chances on all of these giveaways, so remember to enter before time is up! At just over the halfway point, the story takes a totally 180 from everything I thought! I didn’t see it coming whatsoever. Everything you thought you knew about not only the plot, but the characters as well, gets thrown out the window with a spin that throws us into a totally different direction. I commend the author for pulling this off so seamlessly. Kelsy: Give us some insight into the self publishing process and why you chose to utilize it. Samantha: Self-publishing is awesome if you’re a control freak like me because you get to do EVERYTHING. It’s A LOT of work, but it’s also a lot of fun, and it’s very satisfying to know that your book is succeeding because YOU made it happen. Don’t miss the rest at Up In The Bibliosphere! Big thanks to Sara and Kelsy for hosting!! Today is also the last day to enter the giveaways at Books and Beyond and A Life Bound by Books – head over there before time is up! Believe it or not, tomorrow is the last day of the tour! (Already??) And we’ve got LOTS of goodies to send out in style, including a review at The Oaken Bookcase, reviews, interviews, and 3 e-book giveaways at both Nomi’s Paranormal Palace and Book.Mark.Belles, and for our very last stop, an original spinoff story (“Reunited: Isaac & Alessa’s First Night”) AND a giveaway of 5 SIGNED PRINT COPIES at Reading Romances! Wow. Stitch was an absolutely pleasant surprise. Like many others, I started the book thinking it’d be contemporary with a hint of paranormal. It is actually paranormal with a crazy dystopian twist! I have never been so pleased to be wrong! I really enjoyed this novel. The progression of the plot and characters are things that I’m really looking forward to reading. Ms. Durante has really piqued my interest with her story, so much so that I am almost dying to know what is going to happen next! More at Ed and Em’s Reviews today! Big thanks to Kelsy and Emily for hosting!! Also, today is the last day to enter the giveaway at The Aussie Zombie! I’m a para-geek. There’s no denying it. Anything that has to do with anything paranormal just hooks my interest. As a kid, I played with Ouija boards and voodoo dolls, watched any scary movie I could get my hands on (October on the SyFy channel = AWESOME), even ran a lemonade stand in the local graveyard! Tim Burton was (and continues to be) my favorite director (Beetlejuice, anyone? ), and whenever there’s nothing on TV, I always seem to find myself watching reruns of one of those terrible ghost hunting shows. I know this is weird, but I just can’t help myself. We’ve all seen the news reports the past couple years – between the economy, the environment, and the unending global violence, it’s pretty obvious: our world is on a downward spiral. At least, it certainly feels like that sometimes. And when you look into the future and it’s all of a sudden unclear where things are going, it gets you thinking: what if things actually got worse? Like, much worse? What would it be like? Am I prepared? Could I survive? Catch the rest at Michelle Shouts Random, and don’t miss her 4.5 star review while you’re there! Huge thanks to Stephanie & Michelle for hosting today!! Today is also the last day to enter the 3 e-book giveaway at Collections! See you at tomorrow’s stops at The Book Hookup and Shiirleyy’s Bookshelf for a guest post from Isaac, giveaway and review! I’ve read plenty of books where things aren’t always what they seem. I do manage to pick up little hints here or there that make me think. Stitch took me completely by surprise. Once settle in the book I thought, “Oh cool, a ghost story.” Psssh, NOT. AT. ALL. This little surprise in the book picked up my imagination like never before. Huge thanks to Savannah and Brandi for hosting today!! Lots more goodness coming on the tour this weekend (the last weekend of the tour already! ), including twin guests posts at A Dream Within A Dream and Michelle Shouts Random on why I chose the dystopian and paranormal romance genres and a guest post from Isaac on “What’s Worth Fighting For” at The Book Hookup! Can’t wait!! Yesterday you found out which Stitch GOOD guy you’re most like, but today it’s time to go to the dark side… and learn which Stitch BAD guy you’re most like! Check out the quiz at Hey, Tara! At first I thought it would just be her trying to find out and help her ‘ghost’, but no. It’s not like that at all! It will really surprise you and leave you thinking, what happened?! My mind was blown at the end of this book. Every aspect that happened in the book, I can honestly say I really didn’t see coming…This book was definitely not like any other dystopian book I have read recently. Don’t get me wrong, I really enjoyed them but the concept to this one was just WOW. Catch the rest at Crys Book Reviews today! Big thanks to Tara, Emily, and Crystal for hosting!! Tomorrow we’re heading to Books With Bite and Twisting Minds One Word at a Time for another review and giveaway! See you there! Really fun new stuff up today on the tour on at Novels on the Run, Lisa Loves Literature, and Twisting Minds One Word at a Time! 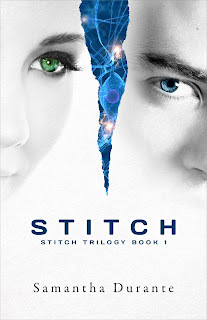 First, stop by Novels on the Run for a review and a super fun quiz which will tell you which Stitch protagonist you’re most like! 1. Which pair of shoes can you not live without? C. Any pair of shoes will work for me, as long as they’re comfortable. Each little odd thing that happened made you think as you were reading it. It kept you guessing right up till the end. 7. What advice would you give to aspiring indie authors? Don’t give up! It’s easy to lose confidence after a couple rejections or less-than-stellar reviews when you don’t have a team of trusted professionals (agent, editor, publisher, etc.) behind you reminding you that you’ve done something great. But just remember that if you’ve written something you love, other people are sure to love it too, so just be persistent in getting it in front of as many readers as possible. Stop by Twisting Minds One Word at a Time to read the rest today! Thank you to Michelle, Lisa, and Brandi for hosting!! Also, today is the last day to enter the e-book giveaway at YA Book Addict! Send your friends to enter! Tomorrow we’re at Hey, Tara! 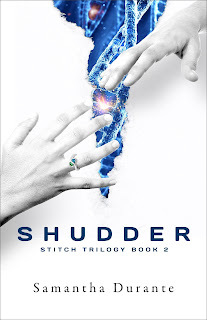 for the follow-up quiz “Which Stitch BAD Guy Are You?” and a review, and Simple Books and Crys Book Reviews for two more reviews!